Thanks a lot to everyone who contributed. 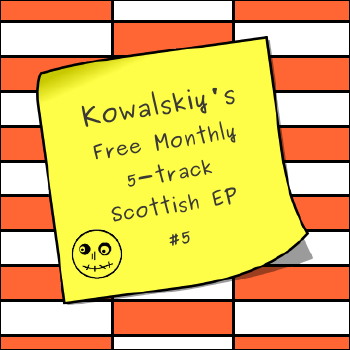 If you like the sound of it, the EP is now up for free download over on my bandcamp page along with the first 4 EP's and the special Foxgang and Define Pop Festival EPs. Enjoy! EP #6 will be out on 16th December. Consider it my early Christmas pressie to one and all. That EP is already under way. If there's any bands out there who fancy following in The Winter Tradition's footsteps and volunteer a track for one of these EPs, then send me a wee email.